Chelsea have not found it funny, to say the least, as they have surprisingly found themselves crash of the top four, even when considered as title favourites. The 2-1 home loss to Liverpool was considered as a one-off, or fluke even. However, we took a hiding against a high-flying Arsenal side that were tied on points with us prior to the north London clash. The Blues now sit in the eight position with 10 points; Manchester City, fellow title favorites, have 18 points already, having won all their Premier League games. No thanks to the defeat against Arsenal, we now get to fight launch another fight to get to the Champions League spots. That quest may have taken another blow, since fresh update from the manager suggests that two of our key players will miss this weekend’s game against Hull City. It is revealed that Mikel Obi and John Terry are ruled out of Saturday’s League clash. This comes as a blow since the duo is capable of weathering the storm on a good day. Chelsea’s defence needs all the help that could come its way, and there is no doubting what these experienced stars could do. Mikel continues to stay out due to a niggling muscular injury, whilst Terry’s ankle injury continues to see him stay out of action. The latter has not played since he hopped out of the pitch in the 2-2 draw against Swansea last month. Since both players are defensive-minded, it is goes without saying that their absence has rocked the club quite harder than we would have envisaged. Mikel is yet to play for the club since he returned from the Olympics, but Antonio Conte is no fool to keep a player who won’t feature in games. Coupled with the absence of Kurt Zouma, the reason for the shady defensive performance against top clubs is not farfetched. 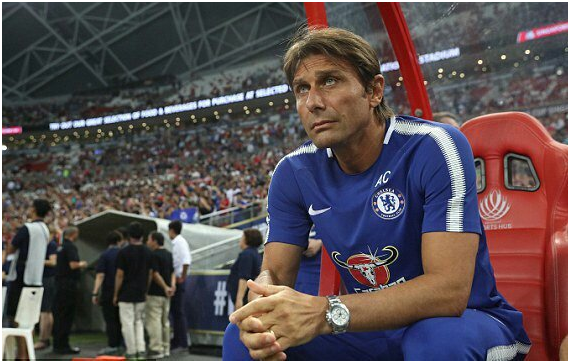 However, we can only but hope that Conte gets his starting XI right. The game against Hull can be regarded as a must-win, since Chelsea face stiff oppositions in quick succession right after the international break. The likes of Leicester City and Manchester United will be facing us, and we can only but wish that our injured players return to full match fitness.